Found one file extension association related to Open Broadcaster Software and 1 file format developed specifically for use with Open Broadcaster Software. 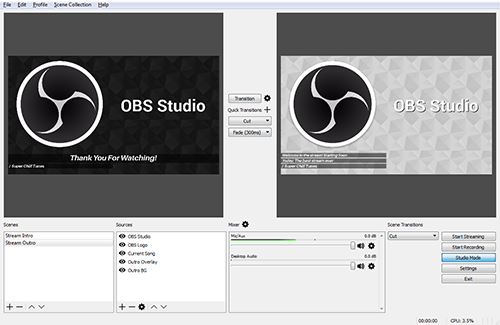 Open Broadcaster Software is free and open source software for video recording and live streaming. Download and start streaming quickly and easily on Windows, Mac or Linux. If you need more information please contact the developers of Open Broadcaster Software, or check out their product website.